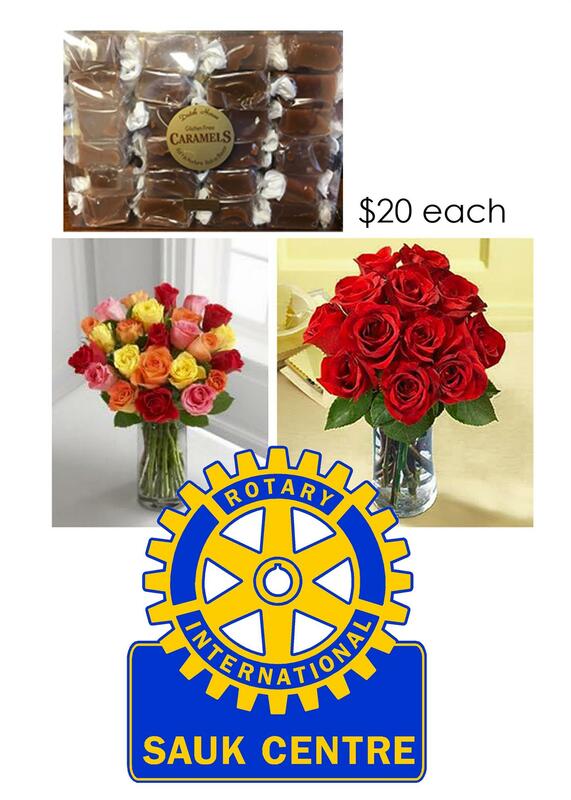 Our Sauk Centre Rotary Club is selling roses again this year to fund projects in our local community. $20 per dozen and personally delivered to anyone in Sauk Centre, Melrose, Freeport and Long Prairie. We are also selling gourmet caramels. A 24 count package for $20 as well. Order both for $40. Delivery will be March 22-23. If ordering roses, please specify “red or multi-color”. If ordering caramels, please specify “regular or sea-salt”.